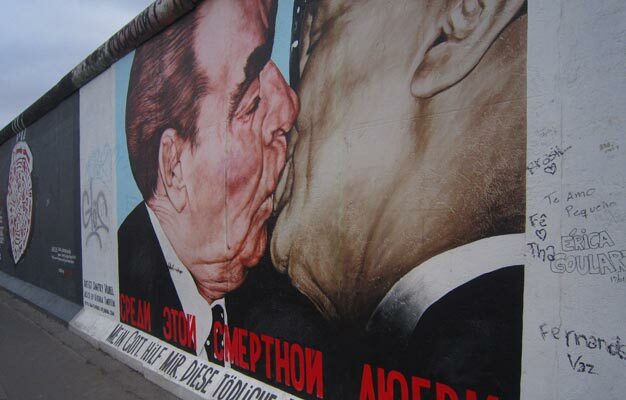 Enjoy a walking tour through Berlin and experience Berlin during the Cold War. Walk down 'Stalinallee', visit the Wall Memorial and Gethsemane Church in Prenzlauer Berg and much more! For decades after WWII, there were two Berlins: One a bastion of the West behind the Iron Curtain, the other a capital city eager to demonstrate the superiority of Communism. 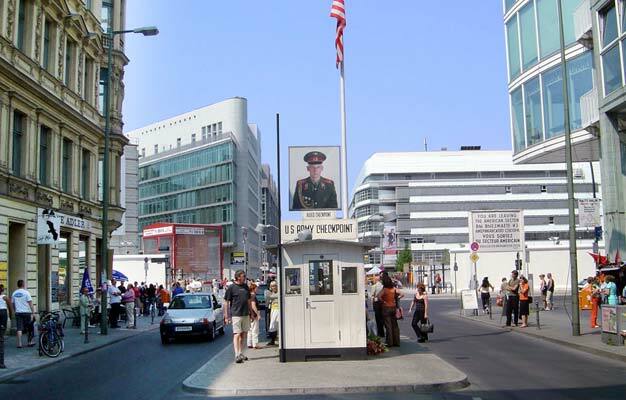 Learn how the Allied's powers divided Berlin into four sectors at the end of the War and see where three of those sectors converged at Potsdamer Platz. Walk down the boulevard 'Stalinallee' in the East and see its wedding-cake architecture designed to illustrate Communist pride during the Cold War. Visit the Wall Memorial at Bernauer Strasse and get a sense of the complexity of the security measures designed to prevent East Germans from reaching West Berlin. Learn about the risks many nonetheless took to escape and thus thwart the efforts of the notorious state security service, the Stasi. Visit Gethsemane Church in Prenzlauer Berg, where many courageous East German civil rights activists gathered in the late 1980s to protest the regime and helped usher in the peaceful revolution that culminated in Germany’s reunification. See where these efforts first led to the breaching of the Wall at Bornholmer Strasse and learn how courageous East Berliners managed to prevent the shredding of files at Stasi headquarters, allowing us important insights into the inner workings of the regime. The tour ends at centrally located Alexanderplatz, another East German showpiece with the monumental TV Tower. The tour starts in front of the restaurant Weihenstephaner opposite Hackescher Markt S-Station. Please be there 10 minutes before the tour starts. The tour ends at Alexanderplatz. How do we get around on the tour? The tour includes a train ride, so please bring an AB public transport ticket or buy one from your guide (AB-day pass costs €7). What languages is the tour available in? The tour is operated in English only. The tour runs in rain or shine, so please wear clothes and shoes according to weather. Children under age 12 are free when accompanied by a paying adult. Youth tickets are available for people under 26 years old.